Channel 4 series George Clarke’s Amazing Spaces looks into the fascinating world of small spaces and builds. In each episode George meets different people who turn tiny spaces into amazing places to work, play and even live. Now in its fifth series, episode four visits Kent’s very own Margate where George meets a man planning to build Margate’s first Victorian bathing machine in more than 100 years. Also in the episode, George meets a coma survivor who proves he has a sense of humour by transforming a hearse into a family camper van and visits a woman who has turned her narrow boat home into a floating bookshop. Margate is a seaside town with a pleasant mix between a charming Old Town and modern architecture such as the Turner Contemporary. The town has also recently reopened traditional theme park Dreamland. Margate has been used as a film location in a number of productions including Coast (2015), Edge of Heaven (2014) and True Love (2012). 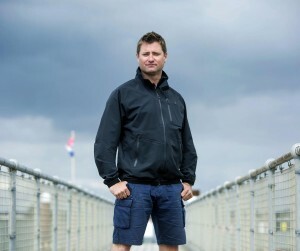 Catch George Clarke’s Amazing Spaces featuring Margate on Thursday 8th October 2015 at 20:00 on Channel 4. 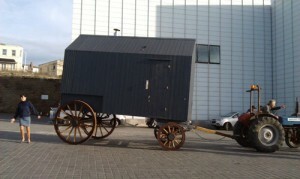 This entry was posted in Filmed in Kent and tagged George Clarke's Amazing Spaces film locations, Margate, tv factual. Bookmark the permalink.